A Year of Being Here: John O'Donohue: "For the Artist at the Start of Day"
John O'Donohue: "For the Artist at the Start of Day"
"For the Artist at the Start of Day" by John O'Donohue, from To Bless the Space Between Us: A Book of Blessings (Doubleday, 2008). Art credit: Untitled photograph from a series by T. Appala Naidu. 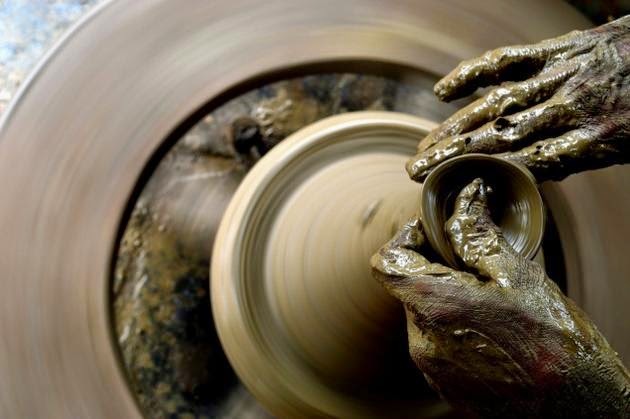 Caption: "The thought of the potter gets a perfect shape when his hands match the speed of the potter-wheel...."
Serendipity at its best for the fog of this awakening "day"